June 1, 2019 at 7 p.m. 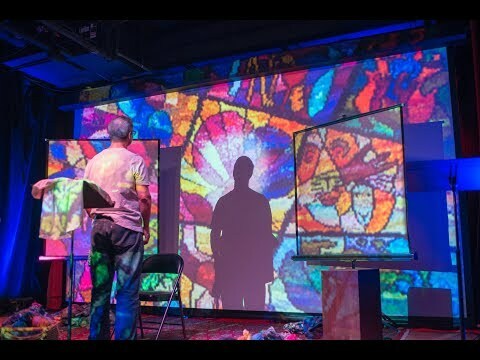 The Knitting Pilgrim is a multidisciplinary theatrical experience that uses storytelling, image projection and a one-of-a-kind textile installation called Stitched Glass. Created by Canadian textile artist/actor KIRK DUNN, Stitched Glass is a triptych of large hand-knitted tapestries, designed in the style of stained glass windows, which looks at the commonalities and conflicts within our communities. Kirk, a self-taught knitter who apprenticed with world-renowned Kaffe Fassett, began the work in 2003;it took him 15 years to complete. That journey is a story that you need to experience. There is no other knitting project in the world like it. Knox Presbyterian Church has been serving God in the heart of downtown Burlington for over 170 years.